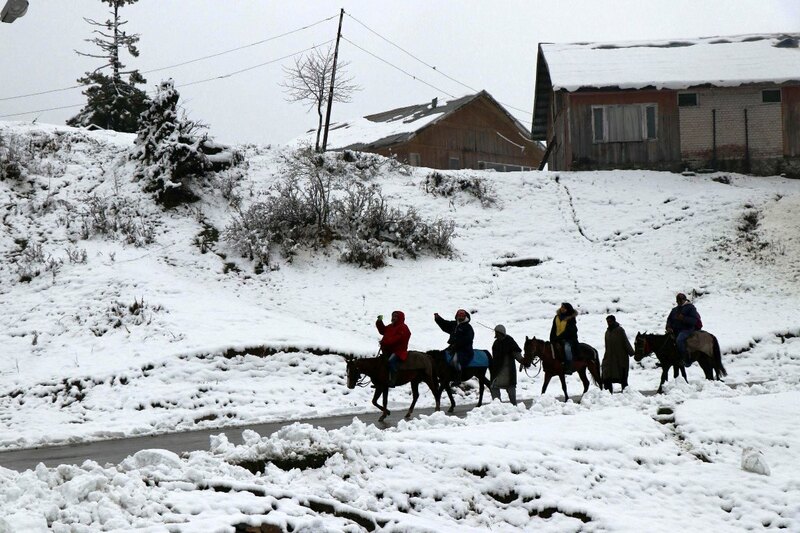 Srinagar: Gulmarg and other areas in the higher reaches of Kashmir received fresh snowfall on Friday, while the plains in the valley, including the summer capital Srinagar, were lashed by rains. 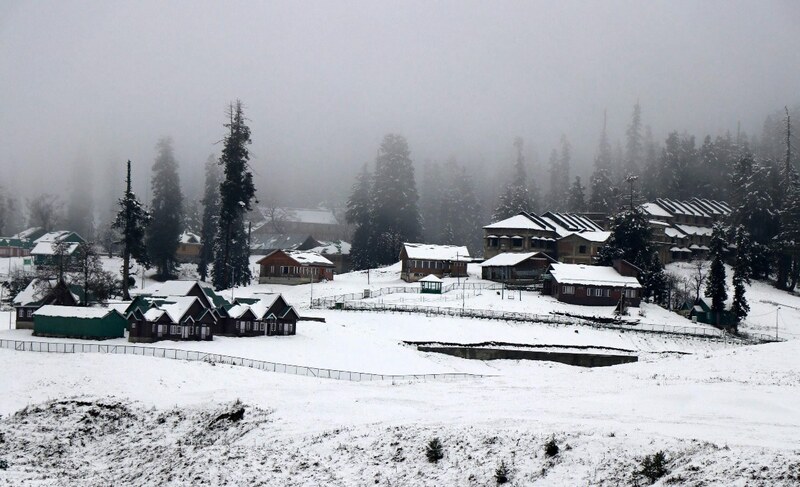 A view of the snow-covered ski resort of Gulmarg after a fresh snowfall on Friday, November 2, 2018. 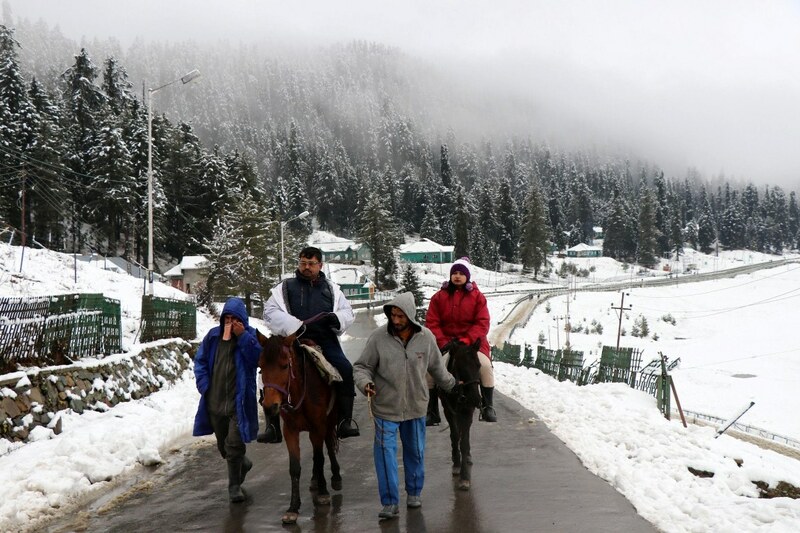 Tourists enjoying horse riding on snow covered roads at ski resort Gulmarg after a fresh snowfall on Friday, November 2, 2018. 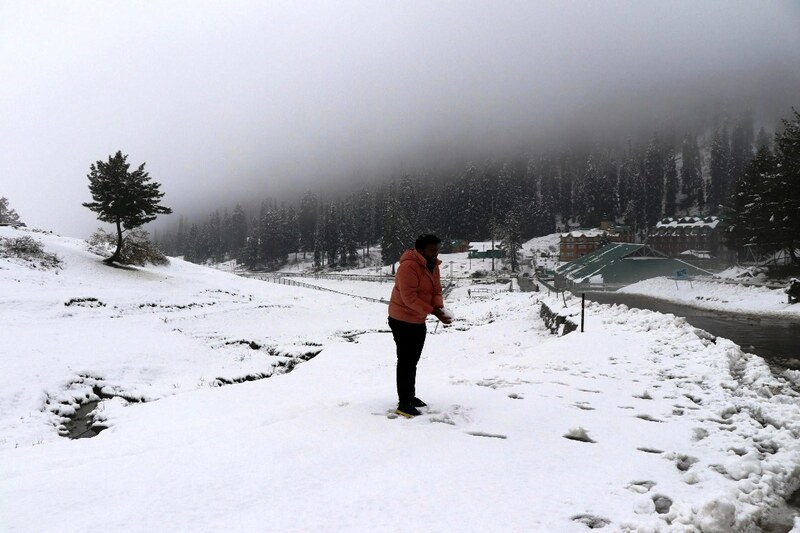 A tourist enjoys the weather in Gulmarg on Friday, November 2, 2018. Fresh snowfall carpeted winter tourist destination in white. 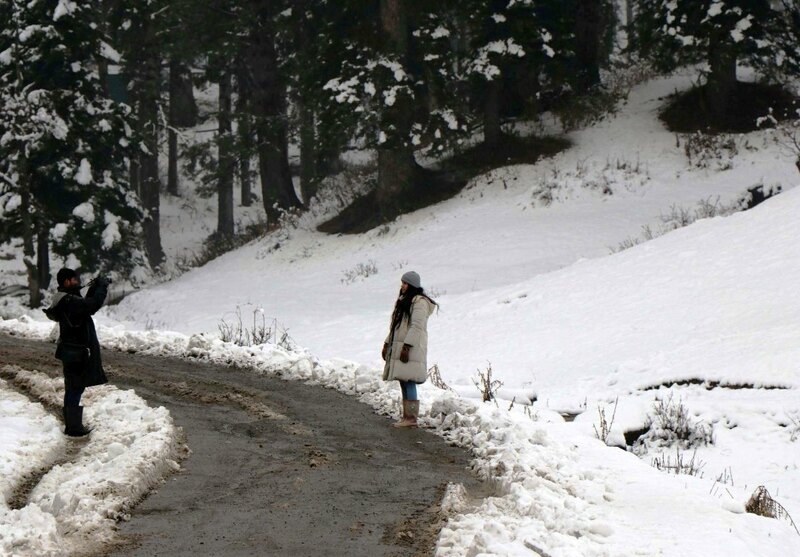 A tourist takes picture of his wife on the outskirts of Gulmarg. A couple enjoying horse riding after resh snowfall. 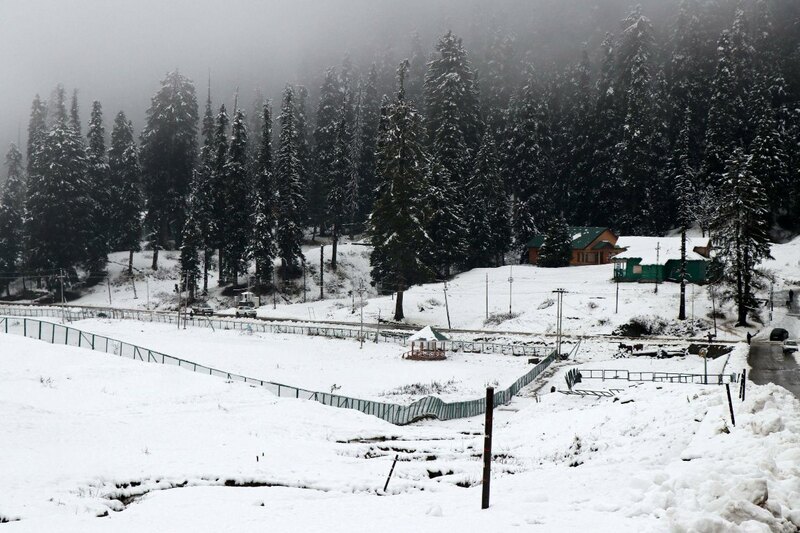 After fresh snowfall in Gulmarg night temperature in plains dropped considerably. 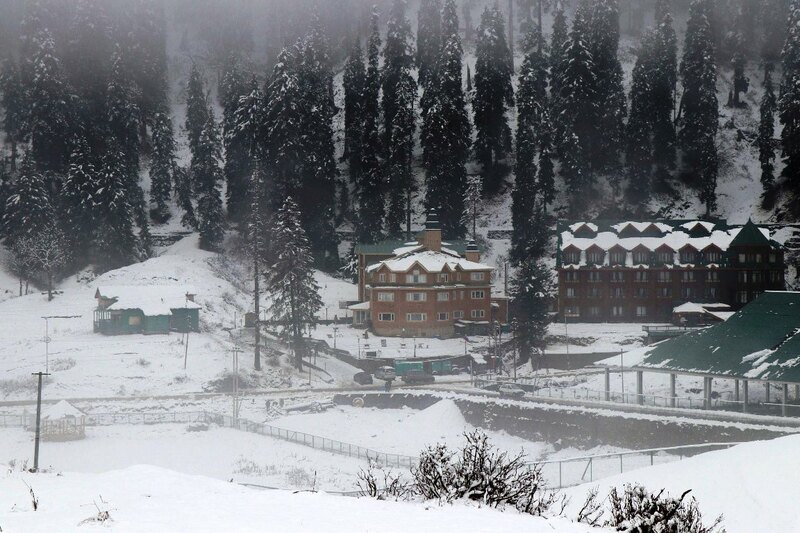 A Met department spokesman said there could be snow and rain in the Jammu and Kashmir during the next two days.